Kumquats & pomegranate trees exploding in colorful fruit. Yellow jasmine and honeysuckle wafting through the air. Do you know what it takes to get this type of flora and fauna in FarmVille?? We have it all right here at Glover Park Hardware. Right now. Weather should be less suffocating better this weekend, so grab one and pop it in the ground! 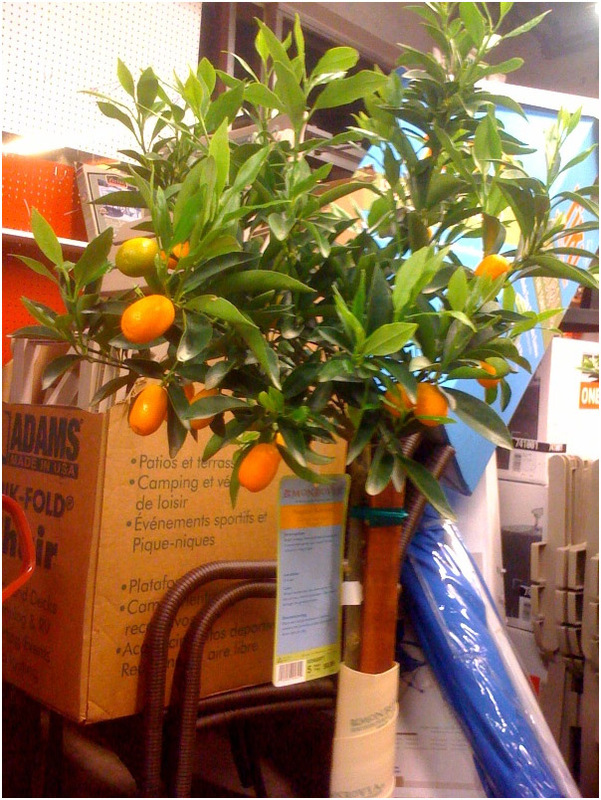 This is a kumquat tree. 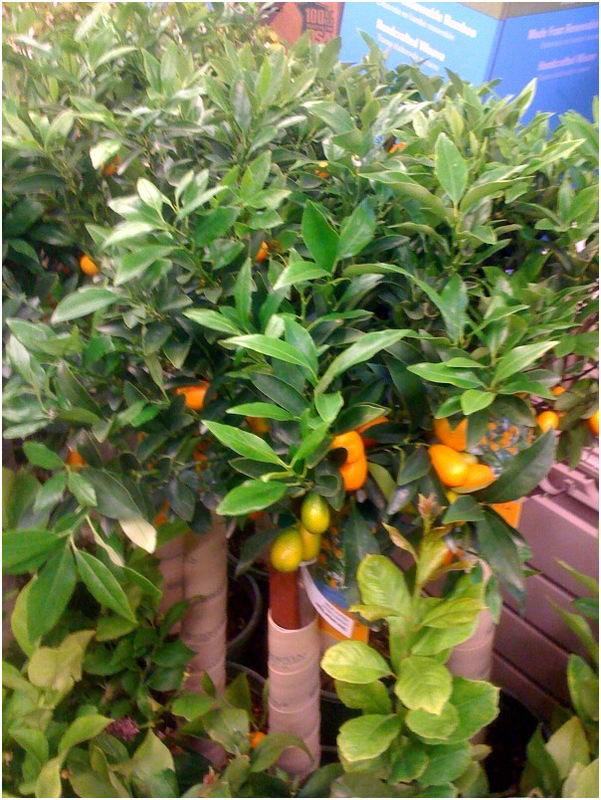 The kumquat tree is hardier than other citrus varieties, and you’re meant to eat the entire fruit, rind and all! The rind is sweet, and the juices are salty and sour–an amazing combination and also what makes the fruit wonderful for candying and preserving. Or simply use it as a twist to your Springtini. They sure look pretty, too. Container kumquats will keep maintain a shorter stature (about 5 feet tall) but if planted in soil, can grow to almost 12 feet. Keep in full sun and shelter it from the elements. Harvesting: Clip fruits individually with 2 or 3 leaves attached to the stem. Call your nearest store to check availability.